Recently, our media inform us every day about the increased number of patients, who are suffering from the new form of flu. Experts predict that the number will be increased due to arrival of cooler days. So far we were provided with medicines and preventive measures, such as regularly washing hands, avoiding crowds, etc..
Few, however, is mentioned an effective prevention, which is enabled by negative ions. If the ionizer is strong enough, negative ions are able to remove viruses, bacterias and all other dirt particles from the air to the ground and can no longer become airborne again and so no longer harmful. 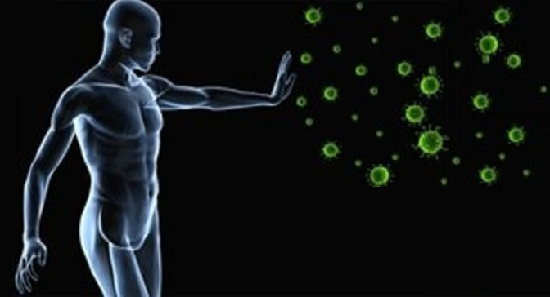 We know that bacteria and viruses have no effect whatsoever if the immune system of the body is strong enough. To improve the immune system and to remove the viruses and bacteria from the air, we need the ionizer, which will remove all the particles from the air to the ground by emitting negative ions from the carbon brash. It is recommended to take the ionizer with you to work, on holiday in the spa or hotel, so you can ionize the rooms in which you will temporary stay and thus prevent infections. At the same time it is suggested to breathe negative ions directly next to the carbon brush. Only in this way a huge amount of negative ions get through the pulmonary alveoli into the blood, which improves the immune system of the cells (that is the vitality of cells), lowers the level of histamine, which is raised because of allergies and asthma and removes the stress hormone, which is the cause of many disease.